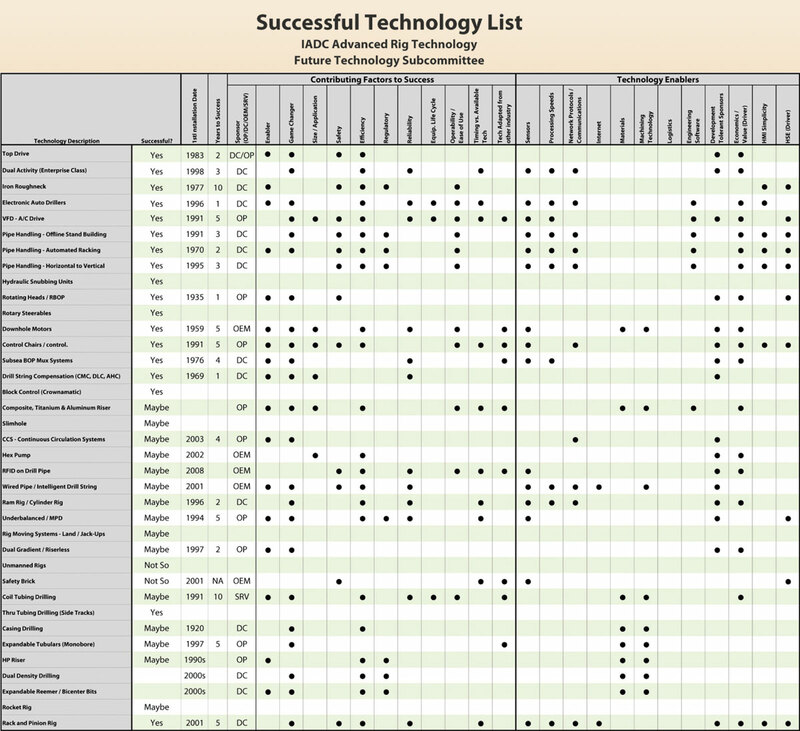 Figure 1: The IADC ART Future Technology Subcommittee developed this matrix cross-referencing historical applications against success factors and technical enablers to help the industry determine what can be learned from the past. • Past technology: identification of success factors and associated technical enablers of historical applications. • Present technology: examination of the level and competence of automation equipment in our industry today. In association with the SPE DSATS group, this study highlights successful applications of automation by operation. • Future technology: survey-based insight into perceived future technological development needs. 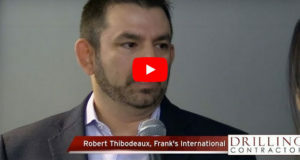 Operators, contractors and vendors provide input on perceived operational gaps, where there may be sufficient business needs to drive the next game-changing technological application. The FTS, formed in 2008, began to identify what can be learned from the industry’s successes and failures with regards to the introduction of new products and systems. The result (Figure 1) was a detailed matrix cross-referencing specific historical applications against their contributing success factors and technical enablers. Contributing factors reviewed include the number of years required to reach commercial success; availability of a financial sponsor; safety or regulatory considerations; and operability and reliability. The technology enablers reviewed identify specific technologies that were required to actually make the application work. Those enablers include availability of faster microprocessors, improved machining techniques and the advent of the internet. Analysis of the results showed that successful applications shared similar contributing success factors. First and foremost, the application improved the economics of well delivery. Access to new reserves, reduction of risk, additional efficiency, operability and safety were all additional contributors. When these elements aligned, they tended to produce game-changing applications, such as the top drive, variable frequency drives or rotary steerables. The time to success for most of these game-changing applications was a short three to four years. Figure 2: Factors such as competition from substitute technologies contributed to the success of the top drive. 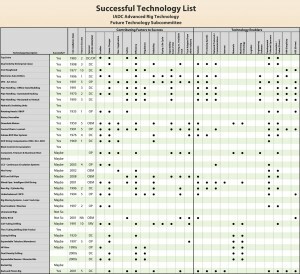 Review of technology enablers showed fewer common threads, though sensor technology and human machine interface (HMI) maturity did appear often. Contrary to perception, there appeared to be few common connections to advancements in other industries (i.e., mining) or advances in specific technologies (computer processor speed), with a notable exception that locomotive technology enabled top drives. Defining what constituted a successful application of technology was the subcommittee’s first hurdle. A successful application was agreed to be something that was commercially successful within a three- to eight-year time frame while addressing engineering needs across a broad market segment. The subcommittee recognized that the drilling industry, as a market segment, is heterogeneous, consisting of wide variances in geography, applications, investment requirements, etc. An application was not considered a success unless it had a broad impact across multiple segments. An unsuccessful technology was defined as something that has not yet had broad use despite a reasonable period on the market (more than 15 years). Three case studies highlight the past, present and future of a specific application. 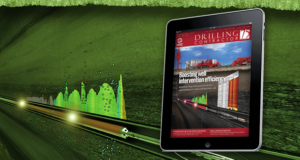 The paper examines the top drive, managed pressure drilling (MPD) and the SafetyBrick. The idea of top drives began with the development of the power swivel in the late 1940s. Companies also focused on hydraulic power and electrically powered swivels. Adding a pipe handler to the bottom of the power swivel transformed it into the top drive. The first top drive was developed in 1981 for SEDCO to address the need for a machine that could handle pipe, make and break connections remotely above the drill floor, drill with doubles or triples, back-ream and maintain circulation longer. Prior advances in locomotive technology from GE and GM laid the foundation for DC drilling motor technology. Figure 3: MPD has so far only been a limited-success technology for the industry, although it has the potential for broad market use. Several intertwined factors contributed to the success of the top drive (Figure 2). First, the original equipment manufacturer (OEM) partnered with a customer that was willing to take a risk for potentially large increases in efficiency. Second, the OEM was committed to R&D of the top drive system (TDS) and pursued sales and marketing. There were typical problems associated with product development, but after iterations and the development of the TDS-3, commercialization was around the corner. The industry learned about the potential for this new tool when the top drive gained public attention. 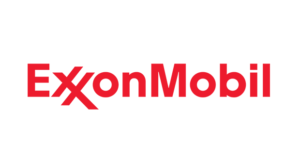 The limelight followed a series of industry design awards for the top drive and an article by an SPE publication from Mobil Exploration-Norway that was based on their success with deviated wells on the Statfjord platforms. It was not until 1987 that the OEM turned to profitability. The adoption of top drives became an economic necessity for operators and contractors if they wanted to be competitive in future markets. The top drive is now viewed as a game-changer because of its revolutionary effect on present and future technologies, and because it was an enabler for advanced directional-drilling applications. 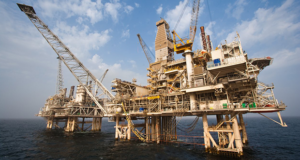 Since the mid-’80s, drilling engineers have been pushing top drives and drilling systems to the limit and have been demanding more robust solutions. 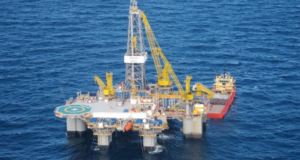 Top drives are now installed on roughly 95% of all offshore drilling rigs and 50% of onshore drilling rigs. Even though top drives have been one of the highest sources of rig down time, they have offered an enormous source of economic value with their capabilities. Our future relies on incremental improvements in drilling, with the occasional leap forward in technology, such as the top drive. 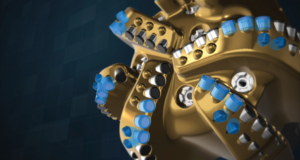 Top drives will continue to evolve to meet the increasing demands of offshore drilling, particularly to develop tools that are more capable, more reliable and safer. Extreme-reach wells are requiring more drilling torque and load capacity. In the future, control systems will provide closed-loop communications between downhole drilling tools and the topside drilling package to control conditions better, such as weight on bit, circulation and downhole drillstring vibrations. The industry is evolving from strictly tool-based technologies to closed-loop system technologies that will operate in synchrony. Figure 4: The SafetyBrick, though technically successful, has lagged in terms of pick-up by the industry. In contrast to the top drive, which is an unqualified success because of its ability to deliver economic value across a large market, it is the FTS’ opinion that MPD is a potential but not yet definite success (Figure 3). MPD is an adaptive process used to precisely control the annular pressure profile throughout the wellbore. It is particularly helpful, and sometimes essential, in drilling wellbores through areas of tight pore pressure and fracture gradient margin. MPD can include control of backpressure, fluid density, fluid rheology, annular fluid level, circulating friction and hole geometry or combinations thereof. Examples of MPD technologies are dual-gradient drilling, mudcap drilling and constant bottomhole pressure (CBHP) drilling. While some forms of MPD can be traced back many years, it is within the past decade that most critical applications requiring its use have arisen. These usually have been in mature formations with depleted reservoirs. 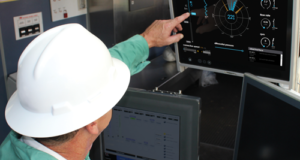 Thanks to early sponsorship by operators such as Shell and ConocoPhillips, MPD technology has been developed to address these “must have it to drill” applications, with compelling results. Aging platforms have been rejuvenated, and “undrillable” wells have been drilled throughout the world. MPD engineering consultancy, service companies and equipment suppliers have all developed to support this growing need. However, despite its unquestioned ability to deliver economic value, MPD has yet to fulfill its potential across a broad market. In particular, CBHP MPD has this potential because its equipment (a rotating control head, surface choke, drill pipe float, flowmeter and pressure sensors) can be applied to most drilling rigs. • Continued efforts to reduce the number of personnel and cost of equipment and services to deploy MPD. • Continued responsiveness to regulatory requirements and safety considerations worldwide. • Continued education and evangelization of MPD applications and operational practices to drillers and operators. The need to address these issues is keenly felt in the industry, and all segments are actively working to resolve them. Figures 5 and 6: The FTS survey included questions about technological innovations in order to gauge the industry’s position on which advances were successful or could be improved. Respondents were asked to pick either “performs well” or “needs development” for each technology identified. Results from the survey on two categories (drill bits and PWD/MWD/LWD downhole tools) are shown above. 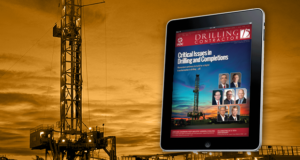 Results from additional subcategories are available in the online version of this article at www.DrillingContractor.org. Special mention must be made of the IADC Underbalanced Operations and Managed Pressure Drilling Committee, comprising operators, drilling contractors, service companies, equipment suppliers and regulators working to advance MPD and UBO technology in the most expedient and safest means possible. The committee has worked to define MPD and clarify the issues surrounding it. The full definition of MPD, as well as additional information about the IADC ART Committee, can be found online at www.IADC.org. 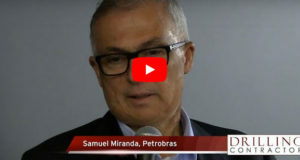 Most recently, this committee was instrumental in assisting the US Minerals Management Service (MMS), which issued its notice to lessees and operators (NTL) for managed pressure drilling. Other IADC UBO & MPD Committee contributions include a classification system for UBO and MPD, standards gap analysis, glossary of terms and API manufactured equipment standards for rotating control devices and non-return valves. As a result of its proven economic value and industry efforts to advance the technology beyond “must have” applications, it appears that the day of MPD’s outright success as a broadly applied new technology will come. But that day is not today. The SafetyBrick system was designed to prevent accidents and injuries around the drilling operation. It reduced risks to personnel by tracking their movement in dangerous areas occupied by moving equipment. This resulted in a safer and more efficient work environment. The basic system consisted of protective footwear (housing inductive shoe charger) and transponder reader electronics, including RFID antennas, a radio antenna, a battery charge coil and PCBs. The smart safety floor mat was embedded with transponders, and 27 RFID passive transponders were distributed throughout the mat between each transponder. Crew members on the drill floor wore an encapsulated transponder reader. The reader transmitted in real time any movement by personnel (identified by the reader antenna), provided the reader was within 30 cm of a transponder. The location of personnel wearing reader footwear was tracked in real time when they step on the map. If someone wearing SafetyBrick was subjected to danger while they are on the mat, the impending machine is automatically halted. The SafetyBrick project kicked off in spring 2004 and was presented at the Offshore Northern Seas Exhibition and Conference the same year. The concept was well received and consequently funded by an operator in Norway, in addition to the product’s OEM. The system developed for drill floors goes unnoticed by the person who wears it and could be seen as a virtual air bag containing a built-in emergency stop feature; a complementary safety barrier to any local machinery emergency stop buttons. In spite of its technical success and its initial sponsorship by a major operator, the adoption of SafetyBrick has lagged (Figure 4). It appears that most operators perceived that investments in people (e.g., training) and process would yield greater and broader-based results than investment in specific technology-only solutions like SafetyBrick. 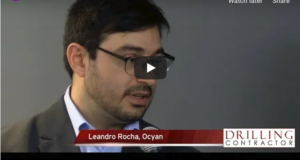 It is possible that once benefits from people and process improvement level out, operators will turn to technology solutions to continue improvement. But for the moment, it appears SafetyBrick was the right technology that emerged at the wrong time. Figure 7: This matrix was created by the IADC Future Technology Subcommittee to be an interactive tool to help SPE DSATS experts determine the future direction of technology development for the industry. Economics played a major role in history’s success stories. The three technology examples mentioned above illustrate the differences between the commercialization of a game-changing technology, limited-success technology and unsuccessful technology. Each technology was developed to address a specific set of needs, ranging from drilling efficiencies to safety. It is important to understand how certain technologies, such as top drives, have revolutionized the industry, while promising technologies such as MPD have not yet been adopted fully. The commercialization of technology is dependent on several factors that must all be present for a game-changing technology. • Fulfills a clear and compelling need. • Enabler/catalyst of future technologies. • Addresses entire value chain. • Committed R&D team to see product through commercialization. 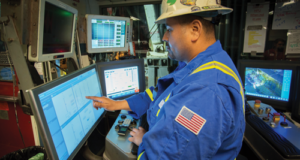 In working with the SPE Drilling Systems Automation Technical Section (DSATS), the IADC FTS set out to understand where and how well automation played a role in operations today. The result is a ranked matrix of automation applications by operational stage. 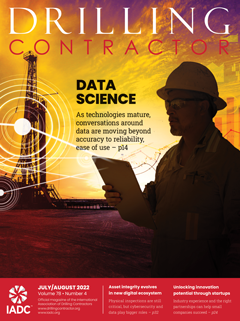 DSATS has been looking into the current state of the automation of the drilling process. Typically there has been a line drawn between drilling equipment at the surface and downhole equipment and systems. The automation systems for those two subgroups have typically operated independently from one another. DSATS is working to define and push the industry in a direction where we can close the loop on drilling controls by having the needs of the downhole equipment control the surface equipment. 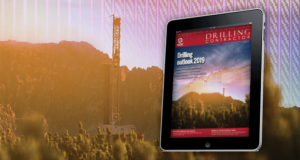 In order to progress in this area, the IADC FTS has put together a matrix that defines typical drilling operations/activities and identifies common issues experienced during well construction. The intent of the matrix is to pinpoint where we are today with typical operations and their issues so that we may recognize where one issue impacts multiple types of activities. Once identified, the industry can get a clearer understanding of what is the best technical challenge to attack first. • Directional rotary steerable drilling. • Extended-reach drilling – pipe friction. • Exceeding pore/frac pressure limits. • Pump noise (survey impact). In an attempt to provide forward-looking insight toward the next game-changing application, the subcommittee polled the drilling community. A future technology survey was designed for operators, vendors and contractors to identify the biggest economic and operational pain points in the industry. Across a broad spectrum of operational areas, participants were asked to rank technologies on performance, relative cost and future technology development (FTD) on a scale of one to 10. For performance, a rank of “one” indicated low positive industry impact, while “10” indicated significant impact. For relative cost, a rank of “low” indicated the application cost less than others, while “high” gave the indication of significant perceived financial burden. The FTD portion allowed those surveyed to give a more subjective indication of where they felt development dollars should be spent to improve the applied technology. With all the possible areas of focus for technological advancement within the industry, it is necessary to gauge which previous innovations have been viewed as successful, as well as which ones will need further attention. Though IADC has access to the opinions of many in the oil and gas industry, it is also apparent that the collected opinion of a crowd is statistically more accurate than that of any individual. With that, the objective of the IADC Future Technology survey was simple: to accurately gauge the industry’s positions in regards to which technological advances have performed well and which are in need of future development. • Health, safety and environment. The questions were structured to give results on several characteristics within each area. Although the two characteristics of “performs well” and “needs development” at first glance would seem to be exclusively dichotomous, it was decided upon further consideration for the survey to not enforce this as a stipulation. Respondents were given the option to choose “performs well,” “needs development” or both options. This allowed the FTS not only to identify areas that are exclusively performing well or needing development but also to identify areas where the industry has generally been impressed with the success of a technology and still sees room for improvement. Forcing respondents to choose one or the other wouldn’t allow us to identify such perspectives. For instance, “mud flow/MPD solids control” rated relatively high in the “performs well” category, indicating there has been considerable improvement in the solids control of mud flow and MPD, yet it also scored relatively high in the “needs development” category, indicating a desire for further improvement. This was the case with a select few topics. For the rest, there is a clearly inverse relationship between “performs well” and “needs development.” Where one ranks high, the other is low, and vice versa. In retrospect, there are a few regrets concerning the design of the survey. First, by not forcing respondent to choose either “performs well” or “needs development,” the extent to which the subcommittee could compare and contrast the two options was somewhat disabled (even though we were advantageously able to identify topics where these options were not seen as opposites). The second mistake was encouraging respondents to choose one “performs well” answer per topic and three “needs development” answers per topic. This was decided with intentions to focus more on the importance of what technologies needed development, rather than what already performs well. In hindsight, this was not necessary and forced us to base the percentages off of the number of people who chose each option per question as opposed to basing it off of the total number of people who answered each question. While it was possible to rectify this, it certainly caused more work in interpreting the raw data and presenting comparably normalized results. Lastly, by having specialists from each field of interest design their own set of questions, it was difficult to maintain a congruent set of answer options. While this is not detractive to the results, it does inhibit the ability to compare results across questions and limits the analysis to each question alone. Ceteris paribus, the aforementioned short-sightedness was not enough to keep the survey from producing useful results. Some of the survey result implications are simple and easily recognized. Anytime “performs well” receives significantly higher marks than “needs development,” this generally indicates an overall satisfaction with performance in that area. As an example, hoisting capacity was a clear leader in satisfactory performance. If “needs development” significantly outweighs “performs well,” this would indicate a general desire for improvements to be made in that area. In addition to these conclusions, some speculations could be made from combinations of results. For instance, in almost all occasions where maintainability and reliability were polled on the same topic, maintainability received high votes in “performs well” and reliability received high votes in “needs development.” One possible supposition that could be made about this combination is that while equipment is often easy to maintain, it breaks down or malfunctions too often. As the IADC ART FTS continues to strive toward its goals, we hope this report on past, present and future technology indicators is insightful. We also look to encourage cooperation between operators, contractors and suppliers. IADC/SPE 128953, “Advanced Rig Technology: Future Technology Subcommittee Report of Activities and Industry Survey,” was presented at the 2010 IADC/SPE Drilling Conference 2-4 February in New Orleans, La.